ELOHIM beat Club Force on the road to sweep the semifinal series. Center Bernie Diaz (200-81) orchestrated the victory with a double-double by scoring 19 points, 11 rebounds and 5 assists. 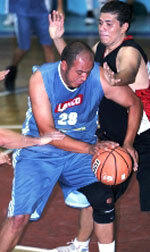 Naturalized Salvadorean guard Ricardo Amaya (191-84) contributed with 18 points and 9 rebounds for the winners. 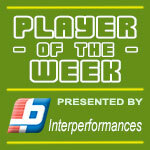 Four ELOHIM players scored in double figures. ELOHIM's coach Estuardo Arriola used a ten-player rotation which allowed the starters a little rest for the next games. Center Helmut Esquivel (196-0) replied with a double-double by scoring 12 points and 10 rebounds and forward Hector Chur (179) added 19 points in the effort for Club Force. USAC rolled past Amatitlan on the road and sealed their Finals appearance. USAC outrebounded Amatitlan 50-37 including a 38-23 advantage in defensive rebounds. Their players were unselfish on offense dishing 22 assists comparing to just 9 passes made by Amatitlan's players. The former international swingman Miguel Gonzalez (187-90) had a double-double by scoring 43 points (!!! ), 14 rebounds and 6 assists to lead the charge for the winners and point guard Alex Juarez (175-93) chipped in 17 points, 9 rebounds and 9 assists during the contest. Naturalized American guard David Goddard (185-89) responded with 23 points and 6 rebounds and Luis Arias (-98) scored 13 points and 8 rebounds. 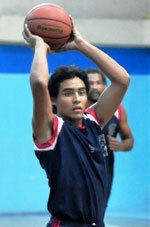 Four Amatitlan players scored in double figures.